It's important to hire an expert to make sure, your situation is handled effectively and professionally. VouchedFor is an independent service, a platform where you can find, rate and review professionals. The identity of all reviewers is verified. You can search thousands of financial and mortgage advisers, solicitors and accountants. Not only can you find a professional you can also voice your opinion and contribute to trust online. Solicitors specialise in different areas of law, and therefore, look for one whose reviews are about similar issues to yours. In April 2016, The Sunday Times published via VouchedFor a guide with UK’s top solicitors. Next to Lynne Brooke’s name were the following listed areas: Employment, Immigration, Business, Disputes, Intellectual Property, and Finance. 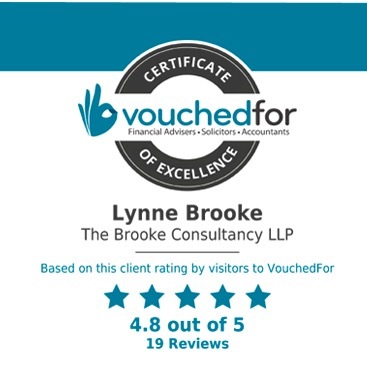 All top solicitors have received the highest volume of positive client reviews in the past two years – visit the VouchedFor platform to read reviews Lynne received. VouchedFor lists over 10,000 professionals, and over 40,000 clients have reviewed their advisers, solicitors and accountants. Lynne Brooke belongs to UK's best professionals as chosen by his clients. This entry was posted in Blog and tagged finance, immigration, intellectual property, lawyer, solicitor, vouchedfor. Bookmark the permalink.